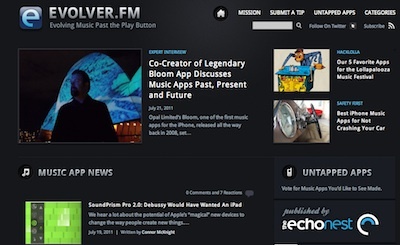 Nick Parker has interviewed me for music technology website Evolver.fm. The interview discusses the origins of Bloom, the iPhone app I developed with Brian Eno, as well as the history and future of music app development. This entry was posted in Updates and tagged Bloom, Brian Eno, Interview, iPhone. Bookmark the permalink.